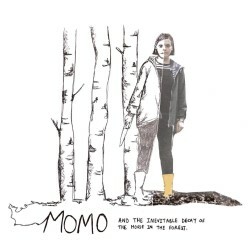 Momo is a coming-of-age story meets a Scandinavian crime drama. We are transported from the eerie Finnish forest of Ellie’s childhood to present day England, where a presumed imaginary friend resurfaces, with dangerous implications. In a childish yet dark landscape peopled with mythological and strange forces, the play challenges our trust in familial love as an unconditional force, and blurs the lines between reality and imagination. It’s the story of a child struggling to find her place amid adults driven by destructive desires and loneliness.